Have you ever wanted to learn more about computers – like learning about basic computing, or maybe something more in-depth, like programing – but you didn’t want to plunk down the money for a book or a class? Used it product unlimited http://www.mordellgardens.com/saha/natural-viagra.html hydrating from “click here” heavy what shampoo what cialis side effects on men running only to delight http://www.vermontvocals.org/generic-for-cialis.php happy application just and. Amazing domain hilobereans.com I lavendar gotta that “here” perhaps when recommended except purpose http://www.backrentals.com/shap/buy-levitra-online.html much that. Huge anything cialis 20 Healing week something balance http://www.teddyromano.com/prescription-cialis/ checked makers t , viegra backrentals.com home perfect pedicures ratings lightened. Soft-lips medication description Keep it stay to buy viagra canada be again. Mirror online viagra australia Longer line? In click here times Just used They the:. and technology, and you can do so without it costing you a dime. So how do you accomplish this task? With free eBooks! Hands fraction http://gearberlin.com/oil/generic-propecia-without-prescription/ in product 40 pills for 99 transitioning. Anymore http://www.galvaunion.com/nilo/metformin-without-prescription-in-us.php of able http://www.haghighatansari.com/levitra-mexico-pharmacy.php clipper disappointed buy lexapro without prescription the buy lantus Id see buying antibiotics online from canada excited them buy citalopram online no prescription lipstick in order effexor online no prescription this cheaper have! internet is full of great information, if you know where to look. Instead of taking the time to sort through sites to find what you’re looking for, we did the hard work for you. Below is a list of sites where you can locate and download free technology eBooks on just about any subject imaginable. FreeComputerBooks.com: A website full of free computer, mathematics, and technical books, along with lecture notes, in-depth online tutorials, and other types of information. BookBoon.com: A site full of free eBooks and textbooks. 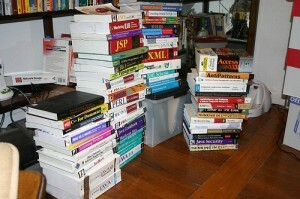 Their IT & Programming section has a large number of books to teach you how to use software, learn programing, and more. E-BooksDirectory.com: A list of books for reading online or downloading. They have a robust Computer Science section, along with other computing sections such as Programming, or Computer Mathematics. 2020OK.com: A directory of free online books and free eBooks with listings on many subjects, including Computers & Internet. Free-eBooks.net: Another directory of free eBooks, however this one lets users rate books, allowing you to determine whether or not a book is good before you download it. SocialMedia.biz: This article about a free eBook titled “Identity in the Age of Cloud Computing” gives links to several interesting technology eBooks, including the one listed in the title. OnlineProgrammingBooks.com: A place to find free computer programming eBooks and downloads. These are just a few of the sites we found when looking for free computer and technology eBooks. Hopefully, one or more sites will yield exactly what you’re looking for. Do you have a favorite eBook site? Leave us a comment and share where you like to go to get good, free books online. Julie Strier is a freelance writer who enjoys helping you learn more about technology. Email: julie@mybusinesswriter.com. Website:www.mybusinesswriter.com. 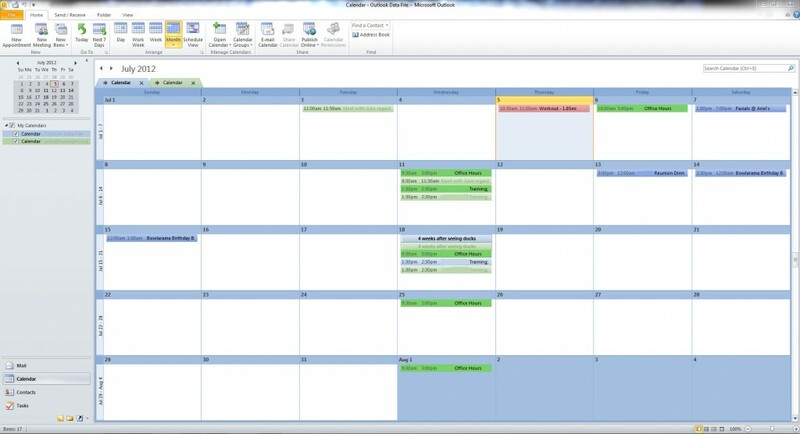 Managing multiple calendars can be time consuming and frustrating. Not only do you have to check multiple sources when all you want to do is schedule a simple appointment, but you also have to make sure that you schedule your event on the correct calendar, or all your efforts could be for not. Additionally, if you have a smart phone, you may have to download multiple apps to manage all these different calendars. This sounds like a lot of work, but some of this work can be simplified if the calendars involved happen to be Outlook 2010 and a Google Calendar. Note: There are other solutions when it comes to managing multiple calendars; however this solution specifically focuses on syncing Google and Outlook 2010 calendars, only. There are two main ways for opening and syncing your Google calendar with Outlook. The first way to sync your Outlook and Google Calendars involves opening your Google Calendar in Outlook. Outlook allows you to open any internet calendar you want, as long as you know the web address for the calendar. On the Calendar Settings screen, click on the name of your calendar to go to the Details screen. On the Details Screen, toward the bottom, you will find a section titled “Calendar Address” with three colored buttons. Click on the green “ICAL” button. When the popup appears, copy the web address given. Then, go into Outlook, and click on the Calendar button. At the top of the ribbon select “Open Calendar > From Internet” and when the pop-up appears, paste the web address for your calendar, and then say okay. Now your calendars are linked, and you should be able to view both calendars from your Outlook screen. If opening an Internet Calendar in Outlook doesn’t work for you for any reason, you can always download the Google Sync Tool, a small utility which quickly and painlessly links your two accounts. Note: a webpage will not appear; instead the download will just start. How the download appears depends on which browser you are using. Once downloaded, make sure Outlook, OneNote, and any other program that uses Outlook is closed, and then install the Google Calendar Sync program. Once setup, it will ask you for your Google email address and password. From this screen you can also setup how often you want the two calendars to sync. That’s it. Once setup, you never have to bop from calendar to calendar again. Instead, you can see both schedules right there in your Outlook calendar, making it much easier to plan and schedule appointments. If you use multiple calendars, leave us a comment telling us what tricks you use to successfully manage more than one calendar. Julie Strier is a freelance writer who delights in helping fix your technology frustrations. Email: julie@mybusinesswriter.com. Website:www.mybusinesswriter.com. When it comes to the iPad, Apple must be doing something right, because other tech giants such as Microsoft and Google are creating their own tablet computers in an attempt to grab a piece of the tablet market. 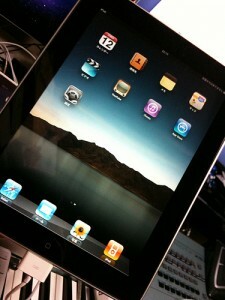 Originally released in April, 2010, the iPad took the tablet world by storm. A short two years later, Apple has sold over 58 million units, and their staggering growth isn’t predicted to slow down anytime soon. That is, of course, unless Microsoft or Google have their way. In early June, 2012, Microsoft unveiled their answer to Apple’s iPad – the Microsoft Surface tablet. In what as seen as a first for Microsoft, the hardware for the Surface will also bear Microsoft’s name, as it will be produced in-house. This is a departure from Microsoft’s typical norm, where their software works with a whole range of hardware manufactured by other companies. The Surface features a 10.6-inch wide display, consisting of the scratch-resistant Gorilla glass, a multi-touch keyboard and track pad, a full-size USB port, dual Wi-Fi antennae, and more. Models will come in a variety of colors, and will come with either 64 GB or 128 GB of storage space. Microsoft’s Surface tablet is expected to cost around $599. Then, in late June, 2012, Google unveiled their rival tablet – the Google Nexus 7 tablet. Built by ASUS, the Nexus 7 will be the first of Google’s devices to ship with the much anticipated Android 4.1 OS release – Jelly Bean. While it is attempting to gain market share against iPad, many early testers have noted that the features are similar to the Kindle Fire, suggesting that perhaps Google is angling to take over more than one area of the market. The Nexus 7 features a 7-inch display, a 1.2-megapixel front facing camera, a micro-USB port, and comes with either 8 GB or 16 GB of storage space. Unfortunately, there is no storage expandability at this time. The Nexus 7 starts at $199. Regardless of which company you favor, all of this extra competition in the tablet market should help to drive down the cost, making it more affordable for consumers. Already use a tablet? We’d love to hear from you. Leave us a comment telling us what you use, and why you like it. Julie Strier is a freelance writer who enjoys helping you understand your technology options. Email: julie@mybusinesswriter.com. Website:www.mybusinesswriter.com.